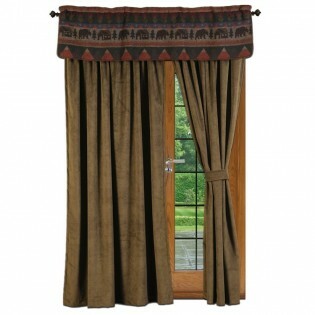 Enjoy the luxury of faux suede complemented with the warmth of a rustic valance. The Athena Olive Drapes and Cabin Bear Valance will add that unique touch to any room in your home. The Athena Olive Draperies are made of micro fiber suede with a rod pocket top. 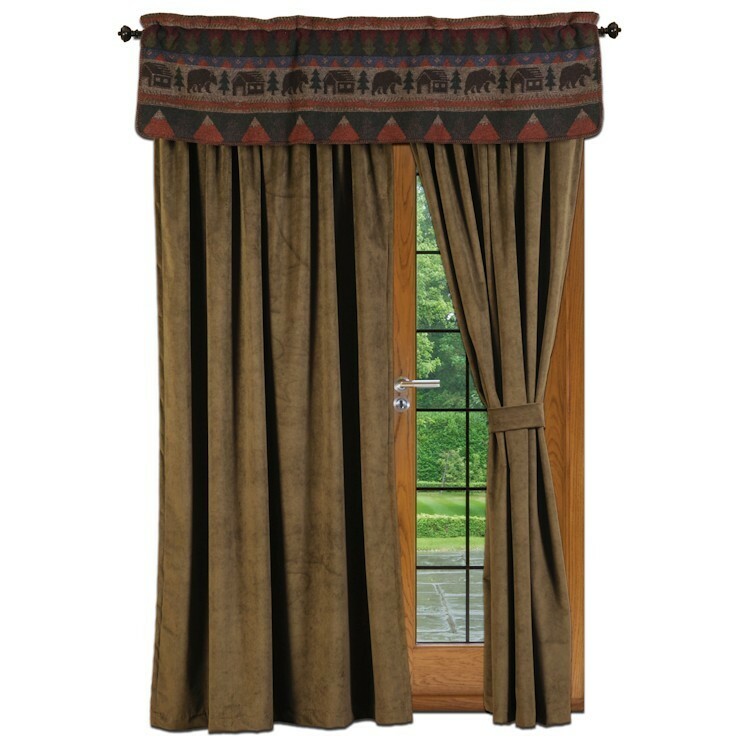 The Cabin Bear Valance is made from a unique wool blend blanket fabric that is 45% polyester, 30% acrylic, 20% wool and 5% other fibers. The result is a soft warm and easy care fabric that you may safely machine wash in cold water and air dry.